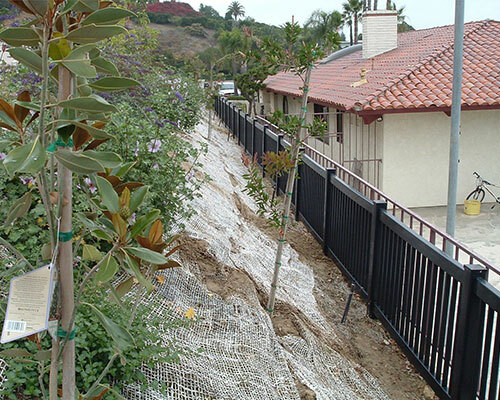 J&J Fence is proud to be Los Angeles’s preferred authorized dealer for BLACKline™ HHP Vinyl Fencing. 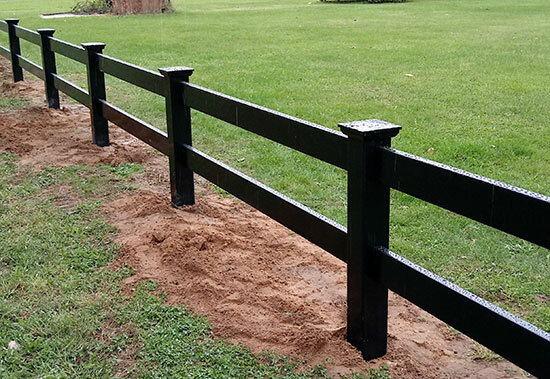 BLACKline™ HHP is the first black vinyl fencing and railing system designed for high temperature performance. 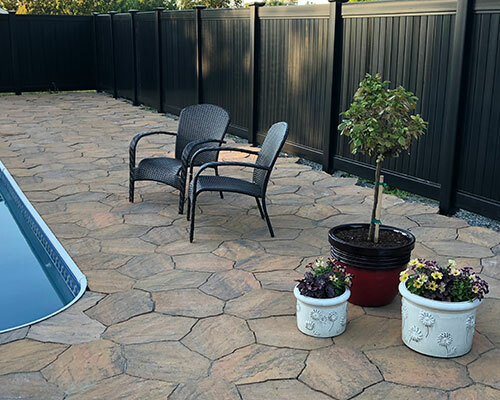 Made from composite thermoplastic materials that are backed by extensive research & development, all BLACKline™ HHP products are low-maintenance, durable, and fire resistant. The key ingredient in the BLACKline™ HHP compound is a CPVC compound using 100% virgin material. With this superior blend of scientifically engineered materials, BLACKline™ HHP offers the only black, mono-extruded product in the industry with superior UV protection, superb workability, excellent weather resistance, and high-impact strength. 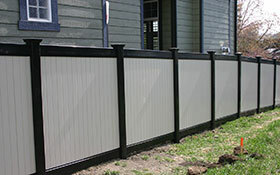 BLACKline™hhp products are also durably constructed without sharp edges, rendering them safe and child & pet friendly. 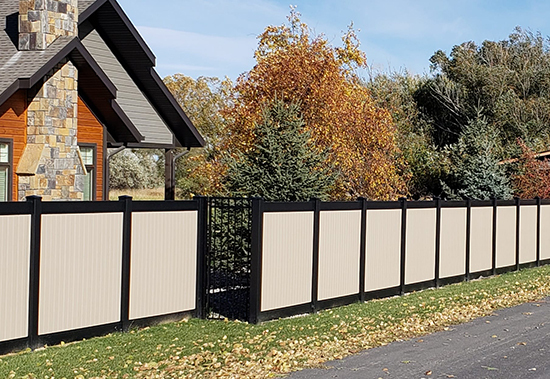 Backed by a Lifetime Limited Warranty, you can rest assured your black vinyl fence won’t rust, corrode, split, blister, fade, rot, or be susceptible to ground insects. 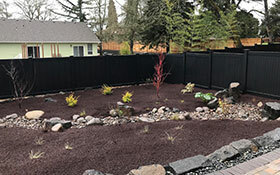 BLACKline™hhp black vinyl fences are virtually maintenance free and will retain their deep, rich black color on the day of installation and for years to come. 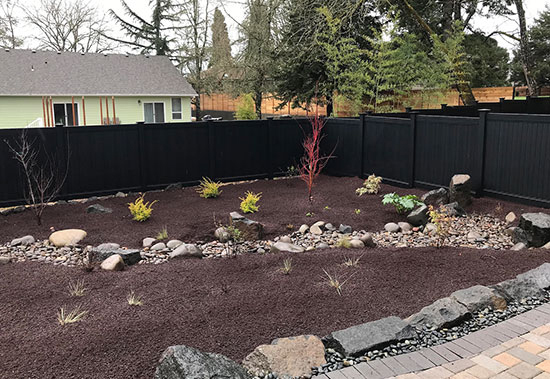 J&J Fence will help to customize and install your black vinyl fencing or railing project so that it best meets your home or business needs at a budget-friendly cost. 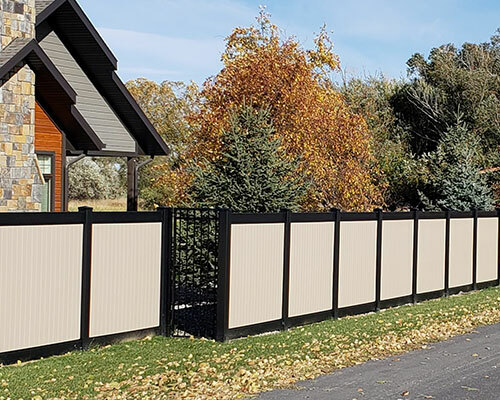 We are fully licensed & insured to install a wide range of BLACKline™ HHP black vinyl fence styles and options, including privacy fences, ranch rail fences, ornamental fencing, and more. With over 30 years of experience, the experts at J&J Fence offer the best value in high-quality vinyl fence installations to Los Angeles home and business owners. 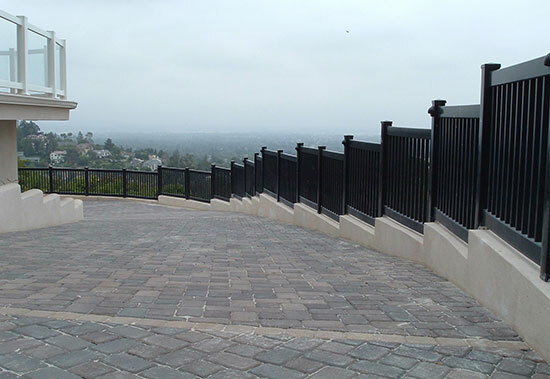 Our custom-built vinyl fences are a great low-maintenance, long-lasting and cost-effective solution that can be customized to match the style of any Los Angeles property. If you’re a new customer, ask about our 10% discount. We offer free estimates and onsite consultations to all of our Greater Los Angeles customers living anywhere from Torrance, Inglewood, Redondo Beach, and surrounding areas. 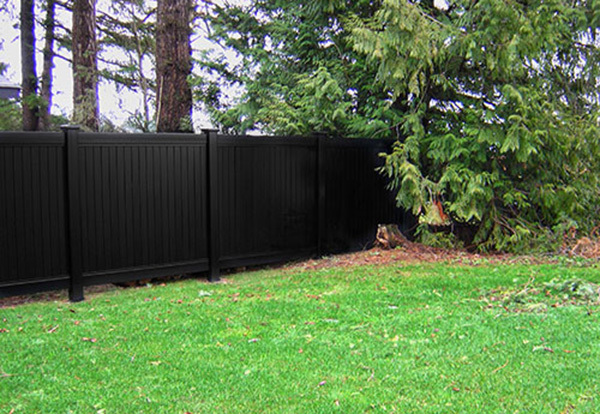 BLACKline™ HHP is the best choice for safe, durable, and long-lasting black vinyl fences. Contacted Jesse with J & J Fence to have 2 gates replaced. He was very flexible on a time to come and give me a bid and when I accepted his proposal he scheduled the install date very quickly. My gates turned out beautiful and they were . 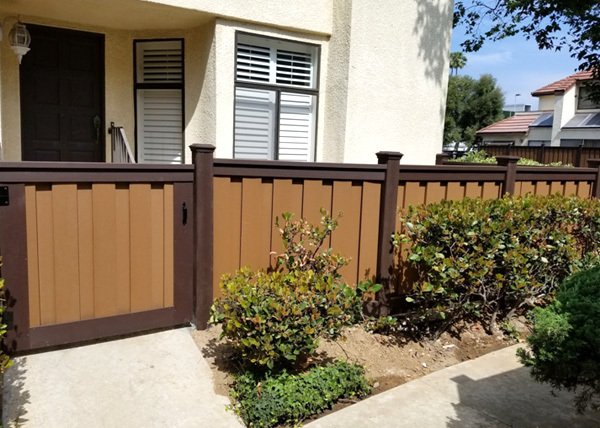 . .
J&J Fence installed this two tone Trex fence and gate in Torrance, CA. 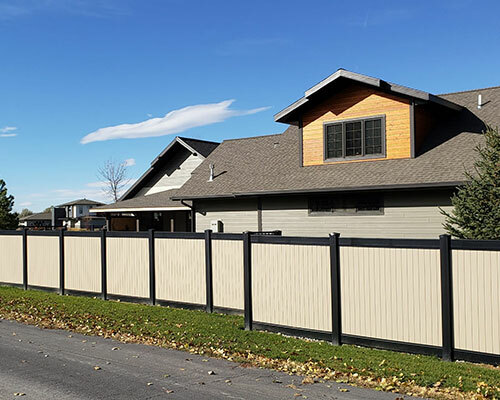 We installed these composite patio fences for a condominium community following the HOA's specific guidelines.